We are here to provide information about our Madhya Pradesh taxi services including Satpura National Park to Pench National park and vice versa. Both the national parks are world famous tiger reserves in Central India and counted among star tourist attractions of Madhya Pradesh Tourism. The distance between both the parks is nearly about 240 Kms from each other via Pipariya road or Amarwara road or via SH 19. Pench National park is located in the Seoni and Chhindwara district of Madhya Pradesh. In 1965 this place is declared a sanctuary and got status of national park in 1975. In 1992, it was established as a tiger reserve. This park won Best Management Award in the year 2011. 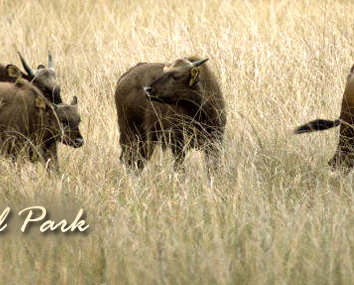 This park is extremely famous for the rarest Leopards and deers. The World famous The Jungle Book written by Rudyard Kilpling is associated with the Pench National Park. Mowgli and SherKhan fight in the jungle is world famous. Even from the year 2002 the name of Pench Sanctuary has been changed to Mowgli Pench Sanctuary. Similarly the name of Pench National Park was changed to Indira Priyadarshini Pench National Park. The area of Pench national park is also historic as it is described in Ain-i-Akbari (Constitution of The Great Akbar) which was a 16th century document written by Abul-Fazl-Ibn Mubarak. All of the above Special Tiger of BBC 'Spy in the Jungle' was also filmed in the Pench National Park in which they showed the growing of four tigers in Pench. This national park covers area around 758 Km2 including 299 Km2 core area of Pench National Park and Mowgli Pench Sanctuary. Remaining 464 Km2 form the buffer zone. To explore the huge area of this National Park you can choose the different ways in the form of adventurous Safaris like Jeep Safaris, Elephant Ride, Bird Watching, Jungle Walk and also popular tourist attraction Walking Safaris of around 10 to 12 kilometers. Some of the most Popular Tourist Attraction spots in the Pench National Park that tourist must visit is SitaGhat which is situated near to the River Pench, Bodhnala Range famous for the picturesque locations and for beautiful Sightseeing for visitors, Chhindimatta Road, and Alikatta etc. Most of the wildlife lovers and professional Photographers frequently visit Satpura National park from Pench national park to see and click pictures of the world famous Black Bucks and other rarest animals that can be found only in Satpura National Park. In this national park you can do activities like Walking Safari, Night Safari, Boating, Jeep Safari, Elephant Ride, Birding etc. Satpura national park is located in the Hoshangabad district of Madhya Pradesh. 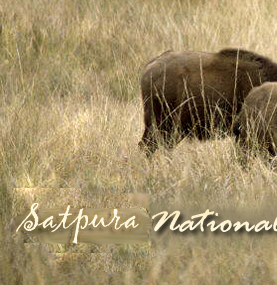 Satpura national park covers an area of 524km2 established in 1981. Satpura National Park won the TOFT Wildlife Tourism Award in the year 2010 for â€œMost Visitor Friendlyâ€� wildlife destinations. Satpura National Park is less crowed National Park as compared to other heavily rushed national parks. This park is very silence as you can hear the snoring of the Beer and roaring of the Tigers very clearly. Here you can find the world famous Black Buck. You can enjoy and spend some adventurous days in Satpura National park. It is a best place to see and feel the wildlife very closely. It has a very rich in biodiversity and is home of Leopard, Sambar, Chital, Indian Muntjac, Nilgai, Four-Horned Antelope, Chinkara, Wild Boar, Bear, Black Buck, Fox, Porcupine, Flying Squirrel, Mouse Deer, Indian Giant Squirrel etc. From Satpura National Park you can go to famous Hill Station known as Pachmarhi which is only 20km away from the Satpura National Park. Pachmarhi is part of a Pachmarhi Biosphere Reserve. It is also known as Satpura ki rani. Tourist visits this hill station throughout the year. You can see the famous Dhoopgarh top (1350m) of Pachmarhi which is the highest peak of the Madhya Pradesh State. The sunrise and sunset view from the top of the Dhoopgarh is a Mesmerizing view that you never forgot lifetime. We are here to offer you our tourist taxi services from Satpura National Park to Pench National Park and vice versa. We also give our cab services to rest of the Madhya Pradesh tourism and also to North and South India tourism. To avail our taxi services at a very low cab fares read the given content below on online taxi booking services. 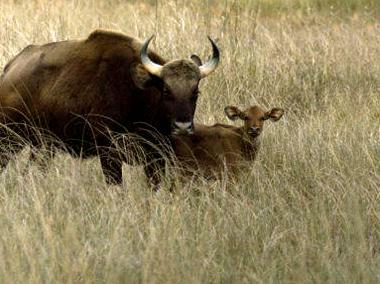 We are here to offer you our taxi services to travel from Satpura National Park to Pench National park and vice versa. We also provide our cab services to rest of the India. We have huge network of taxi services all over the India. You can avail our online cab services at a very affordable taxi fares to travel to any location of North and South India. Both the national parks are situated at a distance of 240 Kms from each other via Pipariya road or Amarwara road or via SH 19. We have varieties of taxis like small cabs for single traveler or for small family, medium taxis for 4 to 6 members' family or friends, large cabs for big families or for group for friends or colleagues. We also arrange tour packages for any location of India as per demand of the customers. We also provide our cab services at a very low cab fares for local sightseeing. We offer you the round trip taxi services, one way trip cab services, long tour taxi services etc. Our non-stop 24 hours door to door pick and drop tourist taxi services at a very low taxi fares will make your local sightseeing and long journey more safe and comfortable. We have well maintained taxis with all the legal documents needed for taxi services with all India permit in our all taxis. Apart of taxi booking services, we also provide online hotel booking services for all locations of the India. You can also extend your journey even after booking of the taxis. We offer you our safest online taxi booking services so that you can avail our taxi services at anytime from anywhere of the world. We provide an instant acknowledgement receipt for each and every transaction done by you for future reference. To Book our taxis instantly to explore the Incredible India more deeply and closely read the online taxi booking content below. We have developed a very safe and transparent online taxi booking platform for our customers. We provide an acknowledgment receipt for each and every payment done by our customer for advance booking. We also provide back office assistance to our customers throughout the journey to make sure the journey safe and comfortable. We are registered firm with a government of India. We have wide network of taxis all over the India. We have all the legal documents regarding the tourist taxi services from the government of India. We also have all India travel permit in our all taxis. We have well experienced drivers at your service. Our drivers have more than 10 years of experience of driving in the field of tour and tourism. They are familiar with all the local sightseeing, famous tourist spots, midway tourist points, halting points, hotels, restaurants, and dhabas near Highways etc. We also take a written feedback from our all customers after the memorable journey to make our taxi services more better, safe and comfortable from before. We have very well maintained taxis that make you feel like you are using your own vehicle. To book our online taxis read the online Taxi booking content below and fill a query form. Our online Taxi booking procedure is easy and convenient. Only you need to do is to fill-up below given query form and submit to us. Our back-office team will go through it and provide you our best quotation with all associated terms and conditions. You just go through all terms and conditions and if satisfied, make advance payment after filling the query form given below with all the necessary details asked in the form to confirm the booking. We provide an online acknowledgement slip to our customer after each and every advance payment done by our customer to make your transaction safe and transparent. We also provide online hotel booking services in all locations of India. We also arrange complete tour packages for our customers on demand. Just fill the given query form and submit to us to avail our taxi services.